We are the taxi service providers that you have been searching for, so look no further. From the moment we answer the phone to the Chauffeur at your door, you will be confident that you have made the right choice. Reduce stress knowing you are in hands of a taxi service providers who understands your needs. Call us on +1 (973) 873-5878 NJ / NY or book online. We are available 24x7. Welcome to Quick Taxi service, number one taxi & limousine service provider in New Jersey and NYC area. Our Aim is to provide you affordable, safe & reliable services to & from New Jersey NJ, New York NY Airports and also all other towns and cities in New Jersey & New York. Quick Taxi Service offers the best taxi service to Newark airport in New Jersey. We provide direct door to door service to and from your home, hotel or office to airports, airport transportation, at all times. We focus on the services of our business. Quick Taxi service provides taxi service from Morris Plains, Parsipanny, Randolph, Denville, Florham Park, Rockaway, Morristown taxi service to Newark Airport, JFK International airport, and Laguardia airport. With knowledgeable drivers who know the routes and provides a little tour when coming in or out of the airports. We also provide taxi service from New Jersey to Manhattan. Quick Taxi service drivers know the best routes all over the tristate area avoiding the trouble of a customer sitting in traffic. We have great GPS systems in all our vehicles to avoid traffic routes and give the customer as fiesable ETA. Dont hesitate to ask the dispatcher any question about NJ / NYC. We can show our customers great landmarks in NJ and NYC such as the Empire State Building, South Street Sea port, Pubs, Bars, Night Clubs sporting events, and Broadway musicals. We also make Shopping very convinent to our customers with easy parking pick and drop offs on time arrival. We provide great deals and qualtiy airport car service for all corporate offices all over NY / NJ area. Just leave the driving to us and make sure you go out relax and take a few drinks down cus after the party Quick Taxi service is your designated driver. Quick Taxi Services offers the best taxi service in Fairfield to New York city, Newark, JFK and LaGuardia airports. Quick taxi service provides service from Whippany to EWR, JFK, LaGuardia Airport and to East Hanover, Morristown, Parsippany, Livingston and many more cities in New Jersey. Long distance and local taxi service throughout New Jersey area and New York City. Quick Taxi Service professional driver take you to your destination safely. Summit taxi service provides excellent quality airport taxi service to Newark Airport and your destination without any hassle. We offer reasonable price and friendly driver. Chatham is a town near Newark, NJ. Quick Taxi Service is now available in Chatham! Need a trustworthy Chauffeur to take you places in and around Montville, none other than Quick Taxi Service to get the job done. Our taxi service offers 24/7 local taxi and to all major airports in New Jersey and New York. 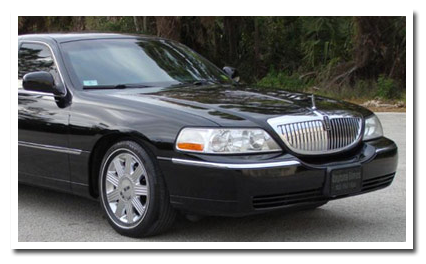 We are the leading car and limousine service in the tristate area. Quick Taxi service offers you taxi services for EWR, JFK and LGA International Airports and Airport transfer service. "...first time i have used a car service and i was very pleased with the result. driver was polite and on time. graciously handled my trip extension, price is very competitive. I will use them again..."